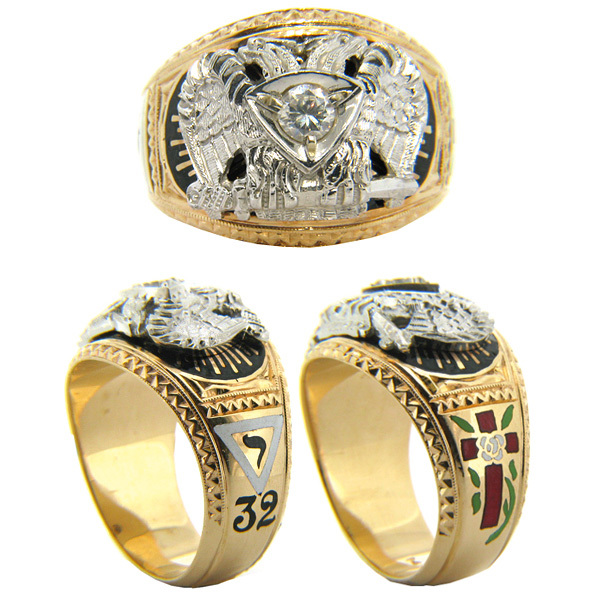 14k yellow gold masonic 32nd degree ring has a 1/4 carat round diamond. Bright white gold double headed eagle emblem in the center. Item weighs approximately 20 grams. Face measures 18mm by 20mm. Sides measures 14mm wide at the top, tapering to 8mm wide on the bottom. Black, white, red and green enamel emblems. This item is handcrafted in the USA.